Hi, i’ve been trying today to install the V3 gateway stack, but running into a problem at step 1. Docker, docker-compose are installed, and i’m using the docker-compose.yml file that is in teh git repo. So, I’ve bumbled through this… having never used docker before, its a first! I’ve installed the v3 stack on an Amazon EC2 micro.t2 instance which is running debian version 9. The instructions are mostly good, In the getting started guide, it says to use the provided. docker-compose.yml . I had assumed ( wrongly ) that docker would pull all the files it needs when you use this. that is not the case, you needed to have cloned the github repo first. (doh). Once you’ve done that, then the instructions work as expected. While I was able to register a single App, and a device, and point a single gateway to it, Its a bit more ‘raw’ than the public interface ( which is very polished ). how to more effectively add/remove devices/apps etc. It seems quite long winded to use the docker-compose commands. I have not figured out how to use the CLI on this. I’m still struggling with the CLI. I hope someone is able to point me in the right direction. 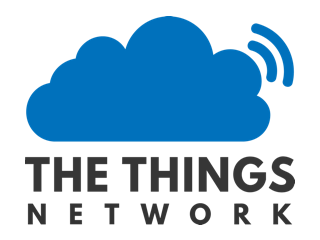 I followed the instructions at https://github.com/TheThingsNetwork/lorawan-stack/blob/master/doc/gettingstarted.md#login to login. The message “Got OAuth access token” was displayed in the web browser, and the on the console of the Server, i get the prompt back. Whats next? How do i use this CLI? Are the commands for the CLI like the ones suggested like this? Is there any more documetation? At this point i’m stuck, my google foo has run out of power, ( I’m thinking i’m searching for the wrong thign ). Hi, I was blocked by the login also. Then I open the link through browser, and input the admin password, nothing happens. @vinzen01 please see the Getting Started; there’s no (more) ttn-lw-cli exec in the container anymore. This person is having the same issue as i described in issue 179. The use of the CLI/ the Auth process is not immediatley apparent, unless you know what Oauth is.